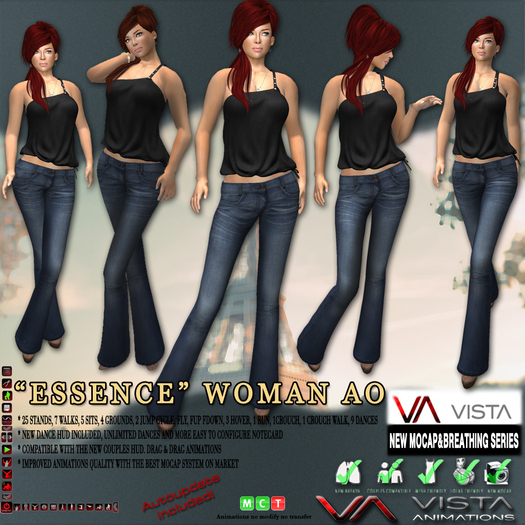 I just find the most feminine AO of the SL, is the new Essence Woman AO of Vista Animations. This AO exudes beauty and femininity and you can use it in any situation, from nightclub to catwalk. This AO can be used with your clothes mesh and their Lola's Tango breasts, leaves you with a perfect look. I loved and I'm sure that you also enjoy, Vista Animations is always excellence in animation.